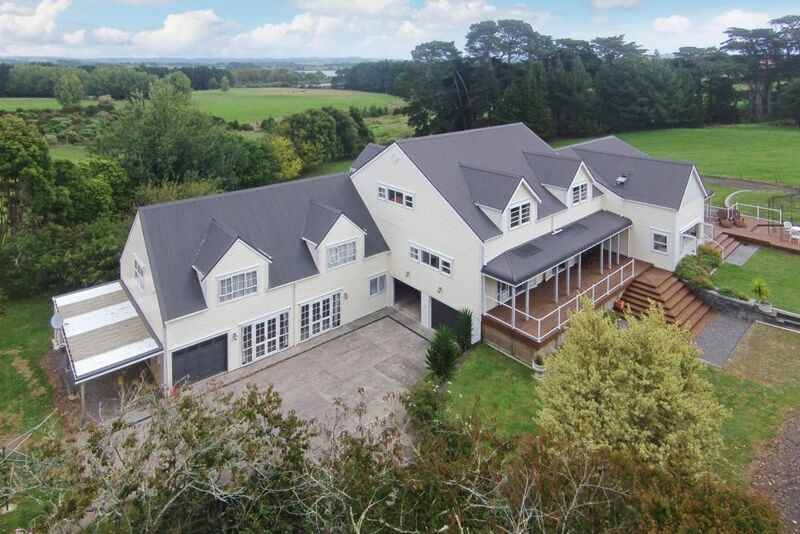 Situated in the southern region of Auckland in a beautiful private rural setting. Character and charm awaits when you enter this recently completed 882m2 home. The main dwelling has 6 generously proportioned bedrooms, one rumpus room, a stunning gourmet kitchen with a large freestanding oven and a double wall oven in a style you would expect from a home depicting this era. The garage is big enough for 6 cars. The secondary attached two bedroom very stylish granny flat with spacious designer kitchen and own garage. Enjoy the rural views with no close neighbours. Plenty of spaces for families, groups and sports teams. Very near to Waiau Pa Centre and convenient to supermarket, hardware, cafe, motor vehicle services, petrol station and school. Huge space, complete facilities, comfortable and quiet. An unforgettable Christmas together. Huge space, complete facilities, comfortable and quiet. An unforgettable Christmas together. Each of us enjoyed the holiday very much. Highly recommended. Beautiful property! Lots of room. Beautiful property! Lots of room. Loved it! Huge property with very large rooms, most with Super King beds. Huge property with very large rooms, most with Super King beds. Could easily fit our family of 17. Peaceful location. Could do with more cutlery, serving spoons and hand towels. Owner didn't supply enough linen for our group, even though we checked with the owner that he would. Owner didn't supply enough linen for our group, even though we checked with the owner that he would. We'd seen the mirrors issue on a previous review so bought & left a few mirrors at the property. House is huge - and slightly confusing! But our group enjoyed it and enjoyed our say. Kitchen & bathrooms are nicely fitted. Wasn't the cheapest accommodation around but if you're after a place to fit everyone in it's fine. Amazing property which was perfect for our needs. Amazing property which was perfect for our needs. We will definitely stay there again in the future. The house and property were beautiful, just a few little things let it down. The house and property were beautiful, just a few little things let it down. No mirrors in the bathrooms, no extra pillows or blankets. Simple things like not enough basic cooking utensils in the kitchen for a large group or a family. A book of what needs to be done when staying at the property and on departure. Basic Cleaning utensils (e.g broom, mop and bucket ) to be able to clean while you are there. Overall a very relaxing spot to unwind.